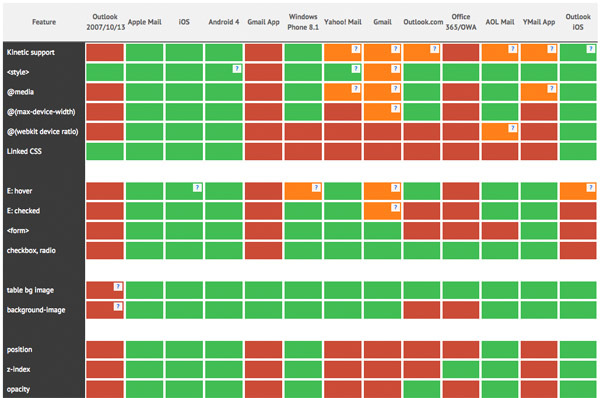 Interactive and Dynamic CSS support among the major email clients. 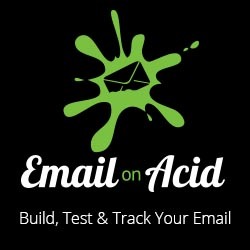 Kinetic email techniques and tips. Feel free to give your feedback in the comments! Thanks a lot for this. This is a great ressource ! Regarding Outlook.com and the subset of CSS transforms supported, I think I can add a little bit of my own tests (mostly when I did this email). From what I understand, Outlook.com only supports shorthand functions. So this means that translate or scale work, but not translateX, translateY, scaleX, scaleY or even translate3d and scale3d. And even that subset of function supported, Outlook.com only supports a subset of CSS units. Anything with a value in px or em will be stripped, but values in % or deg are okay. So translate(50%, 50%), scale(2, 2), and rotate(45deg) all work in Outlook.com.